The Midnight Freemasons: Rolling Rock Beer: Elixir Of Illustrious Freemasons? Rolling Rock Beer: Elixir Of Illustrious Freemasons? 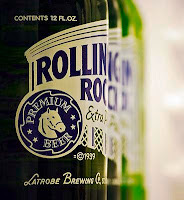 There has always been speculation that there is some connection between Latrobe's Rolling Rock Beer and the Freemasons--I mean, it's obvious, there's a '33' right on the bottle! And the 33rd degree is the highest degree that can be attained by Freemasons. Is it possible the Latrobe's were Freemasons? It's one of those great beer controversies--where did the '33' come from? Everyone seems to have a theory, and nobody has the definitive answer. -One common theory is that it was to celebrate the repeal of prohibition in 1933. That was an important year for brewers and beer drinkers alike! 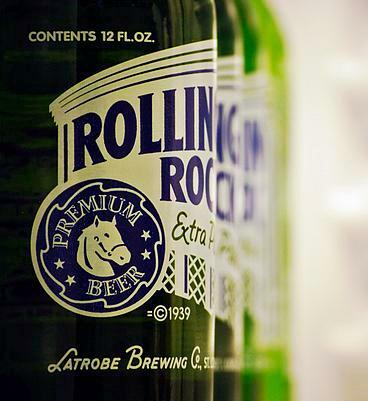 -Another legend is that the Rolling Rock brewery was started with money won at the horse track. The winning bet was placed on #33, "Old Latrobe," and that is why there is a horse and the '33' on the bottle. 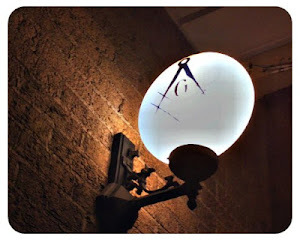 -Another has it that brewers in those early days belonged to the local union #33. -Another claims the reservoir the brewery got its water from was fed by 33 streams. And the theories go on and on and on . . . Sadly, the most likely version is the least exciting. It may have simply been a printers mistake in the beginning. This version of the story comes from a very reliable source--the former CEO of the company. He was also very interested in where that '33' had come from--his name was James Tito. What he discovered is actually very simple. 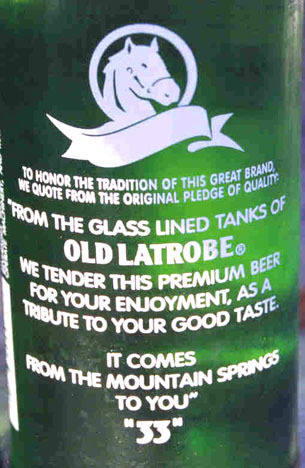 "Rolling Rock – From the glass lined tanks of Old Latrobe, we tender this premium beer for your enjoyment as a tribute to your good taste. It comes from the mountain springs to you." And just maybe it wasn't corrected later because of the stir it had created when those bottles reached the public. Everyone talking about and debating what that '33' meant and speculating about where it had come from. Perhaps Latrobe saw that controversy as a good thing. Here it is more than seventy years later, and people are still talking about it. I guess you'd call that 'beer buzz'. So it's unlikely Rolling Rock has anything to do with the Freemasons. Not to propagate a myth, but I can tell you, I do have it on good authority that at least one 33rd Degree Mason approves of the product. It's not his favorite by any means, but he finds it crisp and refreshing with a easy-to-drink flavor.